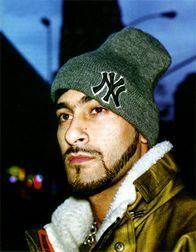 Armand Van Helden is a producer/dj who shares the open minded few towards music that all mongoloid members have. In fact, in one of his latest songs he raps : 'if you're not melting the pot, emptiness is all you got' and one of his albums is even called 'Killing Puritans'. One of the reasons for his many influences and different styles is the fact that he grew up in many different countries and cities. In the early 90's his first records came out and the first success came with the Witch Doktor single he released on Strictly Rhythm in 1994. This wouldn't be the last succes for him as a producer. In 1998 he stormed the charts with the classics 'U Don't Know Me' and 'Flowerz', both from the succesful '2 Future 4 U' album. Some other clubhits by Armand you'll probably recognize: 'Koochy', 'Why Can't You Free Some Time' and 'The Boogie Monster'. Another succesful part of Armand's carreer are his remixes. During the 90's he was one of the most asked remixers. Some of his remixes were so succesful that more people knew them than the original version. Some great examples are his remixes for 'Tori Amos - Professional Widow', 'CJ Bolland - Sugar Is Sweeter' and 'Nu Yorican Soul - Runaway'. When you go to see Armand dj you can expect anything from techno to funk-house or even a hiphop set. Armand keeps melting the pot, probably the best reason why he has been a succesful producer/dj for over a decade. 12. Photon Inc - Project Blast - Photon Inc.